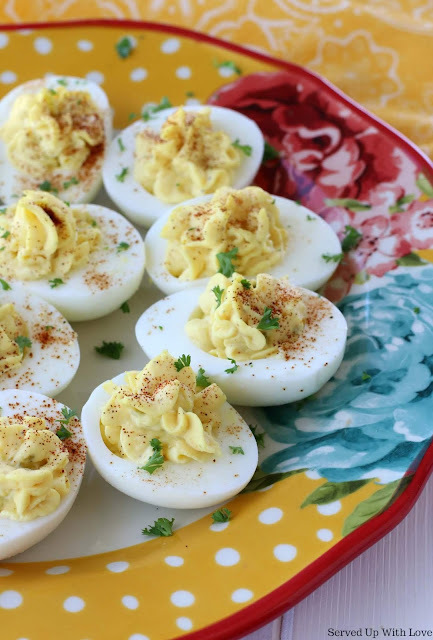 At every cookout, BBQ, or holiday dinner you are more than likely going to find a deviled egg on the table. This Classic Deviled Eggs recipe is so easy to make with just a few simple ingredients. 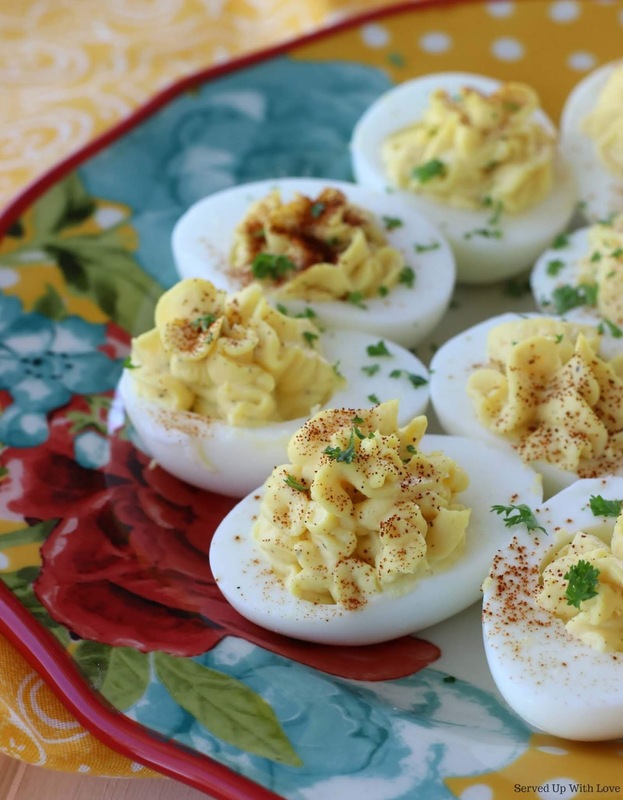 For some families deviled eggs is a must have dish on the menu for any occasion. Want to know something funny? This is my mom's deviled egg recipe and she hated eggs. 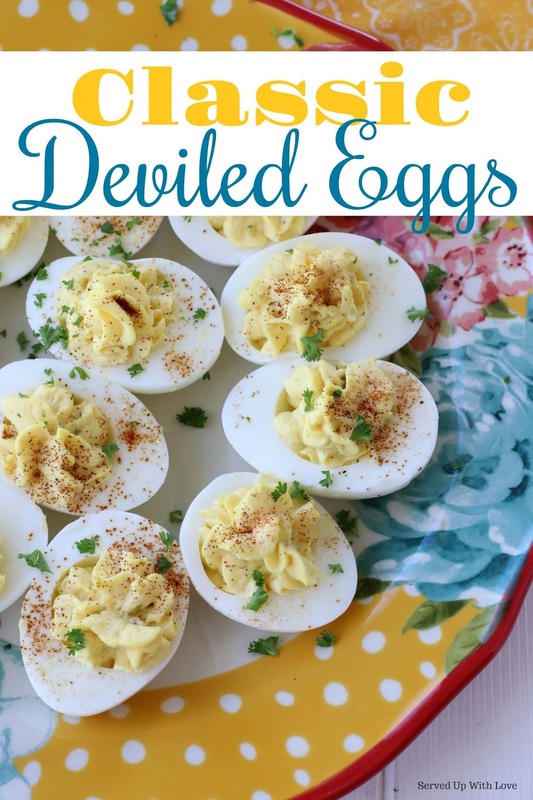 But she made these deviled eggs perfect every time. She would always have dad or one of us girls take a taste to make sure it was perfect. She would just whip this together, mind you, without a recipe. The ones that you just put a squirt of this, a spoon on that, and so on turn out to be the best recipes. I made the mistake years ago thinking everyone knew how to make these little gems like my mom. My mom and I were at a well known southern style restaurant that served deviled eggs with a salad. I seriously could not eat them. They were the worst tasting deviled eggs I had ever eaten. The method I use for making hard boiled eggs is pretty simple and easy. Place your eggs in a sauce pan and cover about an inch above the eggs with cold water. Bring to a boil for one minute, remove from heat and cover for 12 minutes. After 12 minutes, remove the eggs and place in a bowl of ice water. Peel and remove the shell. 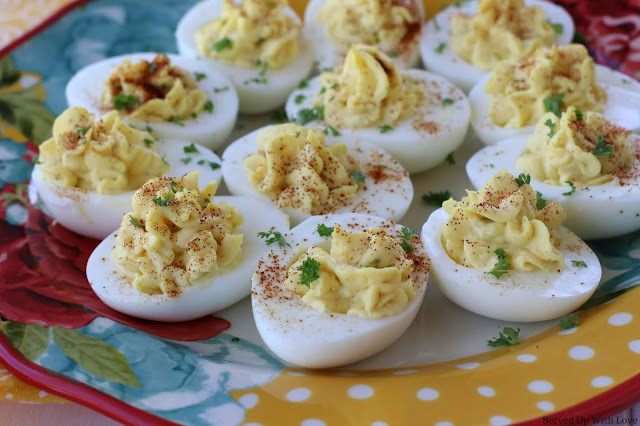 Classic Deviled Egg recipe using simple ingredients that turn out perfect every time. Serve at your next party, BBQ, or holiday dinner. Place your eggs in a saucepan and cover with cold water. Bring to a boil for one minute, remove from heat and cover for 12 minutes. After 12 minutes, remove the eggs and place in a bowl of ice water. Peel and remove the shell. Slice the egg in half and remove the yolk and place in a bowl. Mash the yolk and add the remaining ingredients. Spoon or pipe the filling into the egg. Garnish with paprika. Keep chilled. Cook's tip: Using 1 teaspoon of baking soda in the cooking water to make for easy peeling.